Bancroft School invites experts in the field of childhood learning to present information to families, friends, educators, students, and others interested in helping diverse learners of all kinds. Speaker Series events are free and open to the public. Award-winning documentary filmmaker Krys Kornmeier has captured the unique challenges and strategies that four adults with learning disabilities and/or ADHD have developed to create their own paths to success. Kristen Jacobsen, MS CCC-SLP, "Building Executive Function Skills for Home, School, and Beyond"
Kristen Jacobsen's presentation focused on how teachers and parents can help students reach their potential and increase self-esteem through goal-setting, organization, and time management. 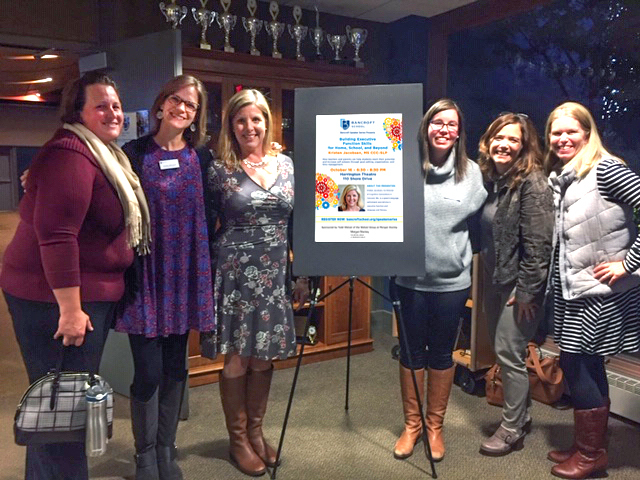 Kristen Jacobsen, Co-Director of Cognitive Connections in Concord, MA, is a speech-language pathologist specializing in executive function and language and literacy. Dr. Joanna Christodoulou, Ed.D., "Math & Reading Instruction for Struggling Readers: Where We Are and Where We're Going"
Dr. Christodoulou spoke about the connections between math and reading struggles, and why they often go hand in hand. Compared to the abundant research that informs our understanding of dyslexia, relatively little research has addressed the math struggles that often go hand in hand with reading difficulties. 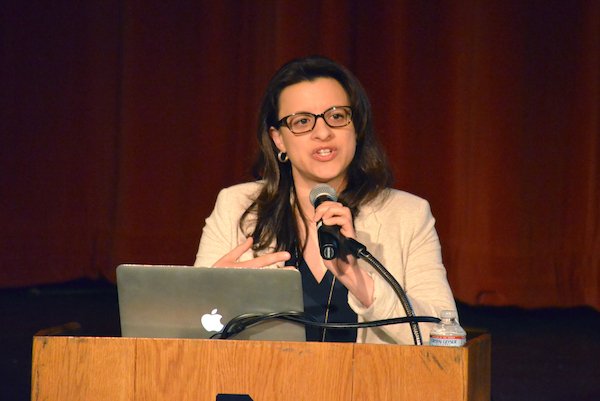 Developmental Cognitive Neuroscientist Joanna Christodoulou is addressing that gap, studying development and difficulties of reading, math, and attention, with a focus on the intersection of research and practice. Leaving the scientific jargon in the lab, she shared her important work in terms that resonate with parents and teachers who, like Joanna, want to know how this research can impact children’s everyday lives in school. Dr. Joanna Christodoulou is Assistant Professor at the Massachusetts General Hospital (MGH) Institute of Health Professions in Boston, a Research Associate at MIT, and an Adjunct Lecturer at the Harvard Graduate School of Education. She is also on the board of the Massachusetts Branch of the International Dyslexia Association (MABIDA). She earned a master's in applied child development from Tufts University, a master's in Mind, Brain, and Education from Harvard Graduate School of Education (HGSE), and an Ed.D. from HGSE. Peggy Stern's own dyslexia led her to filmmaking and animation at a young age. In 2006 she won the Oscar for Best Animated Short. She later founded Dyslexiaville, whose mission is to help kids succeed in school and life because of — not in spite of — their learning differences. Peggy, who is dyslexic, led a stirring presentation focusing on social and emotional learning, shared clips of her film work to highlighting how her own visual/spatial strengths aid her work, offered parents practical tips and real-life strategies for home and school that can help every kind of learner. Check out the Super d! 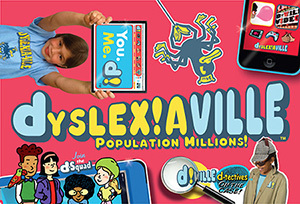 Show videos on Dyslexiaville's YouTube channel. Laurie led an enlightening discussion on the various types of ADHD in children and adults, alternative diagnoses that "look like" ADHD, as well as the causes and treatments for these variations. The presentation touched on executive functioning and learning disorders. Laurie is an expert clinician, prolific scientist, speaker, and educator of clinical psychology, cognitive neuroscience, and learning disorders. She is internationally recognized for her research in reading, dyslexia, and attention, and has more than 15 years' clinical experience conducting neuropsychological, psychological, and educational evaluations. Working with individuals from age 3 to late adulthood, she examines brain-related phenomena such as dyslexia, ADHD, learning, memory, autism, Asperger's, PDD, brain injury, emotions, behavior, social skills, and stroke. Sarah captivated our audience with a screening and discussion of her award-winning film about the unexpected ways dyslexia and ADHD have impacted three generations in her family, starting with her own struggles. 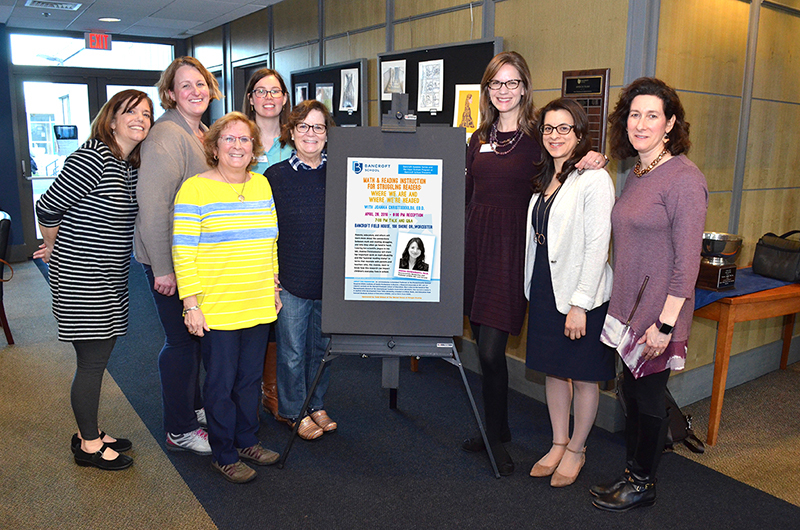 Sarah is shown above (to the right of the poster) with Bancroft HGP faculty. 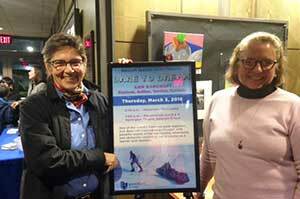 Ann Bancroft, "Dare to Dream" — A world famous polar explorer, author, teacher, and motivational speaker, Ann shared powerful stories of her adventures and obstacles — including her struggles as a learner with dyslexia. "Most Likely to Succeed" — A screening of the feature-length edu-documentary by acclaimed director Greg Whiteley. Ben Foss, author of The Dyslexia Empowerment Plan: A Blueprint for Renewing Your Child's Confidence and Love of Learning. Presentation, Q&A, Book Signing. Copies of this book are available in the Bancroft Bookstore. Dislecksia: The Movie, Documentary screening and Q&A with Emmy award-winning director Harvey Hubbell V, who has dyslexia. Dr. Edward Hallowell, New York Times best-selling author and world-renowned expert on ADHD and learning differences, "Learning and Childhood: Understanding the Issues and Meeting the Challenges"
Dr. Richard Solomon, Providence-based psychologist and educational consultant, "Understanding How the Brain Learns to Read"
Hope Graham Program Information Night. 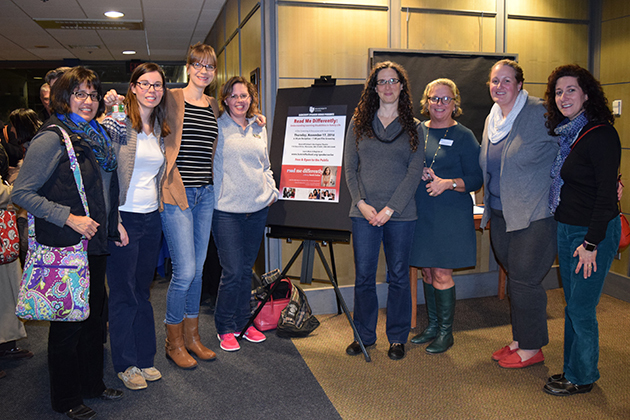 Screening of The Big Picture: Rethinking Dyslexia. Discussion session and Q&A.